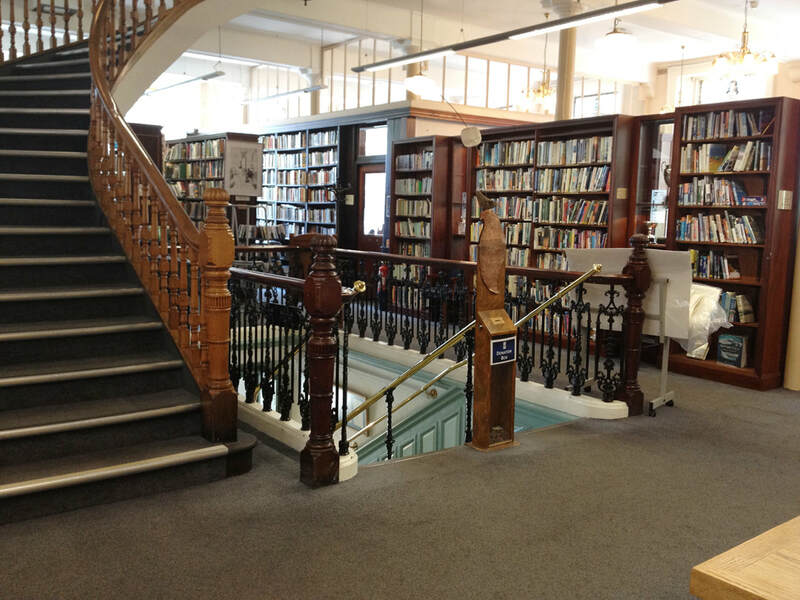 The Linen Hall Library is the oldest library in Belfast and the last subscribing library in Ireland. 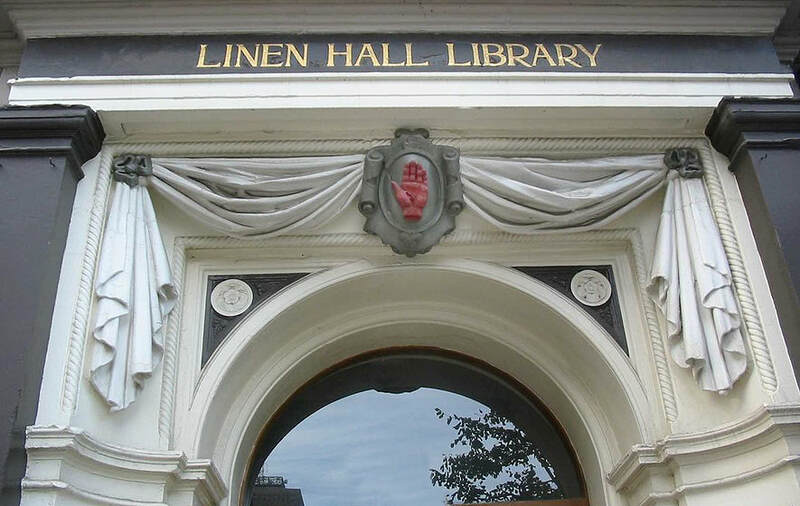 Since 1968, Linen Hall has sought to collect all printed material relating to the conflict in Northern Ireland. The library has since become the repository for a vast amount of material relating to the subject and the subsequent Peace Process. Over the years, the library has gained a reputation as a 'neutral space'. Within it, the library’s Northern Ireland Political Collection has become a place where any opinion can be found and consulted. The Collection consists of books, pamphlets, leaflets, posters, manifestos, press releases, newspapers, objects and journals. The collection documents the activities and views of all parties to the conflict, from paramilitaries to government to the wider general public. It covers publications by organisations on the margins of the direct political process, as well as by those chiefly concerned with social issues. By documenting the conflict and making the material available, the library plays a vital role in contributing to a better understanding of the ‘Troubles’. In a conflict more renowned for division than common ground, the Northern Ireland Political Collection has been endorsed by opponents right across the political, religious and social spectrum. The ‘Divided Society’ project has digitised titles published between 1990 – 1998 that documented the issues affecting Northern Ireland at that time. This was an extremely significant period in the history of Northern Ireland with events such as the Downing Street Agreement, several ceasefires, and the ongoing peace negotiations which culminated in the signing of the Good Friday Agreement. The publications represent a variety of perspectives including community groups, political parties, pressure groups, and local and national government. Titles include ‘Fortnight’ which gave analysis from across the political spectrum on the current affairs and political developments at the time. Others like the Republican prisoner magazine ‘Captive Voice’, The Revolutionary Communist Group newspaper ‘Fight Racism! Fight Imperialism!’, and the Ulster Volunteer Force’s journal ‘Combat’. As part of the project, the Linen Hall Library conducted interviews with members of the public with stories and recollections about the conflict. Community groups from throughout Northern Ireland discussed these issues alongside students from schools, colleges and Universities. Many of these stories are available to listen to as part of the audio gallery or read as transcripts. This revealing oral history archive captures people from all walks of life recounting their memories of difficult, sad, and sometimes humorous times. The resource also includes six downloadable toolkits to assist students and educate more general users. These focus on: the Downing Street Declaration, the Ceasefires, President Clinton’s Visit, the Referendum, the Agreement, and the First Day of Power-Sharing. There is also a video gallery including news-reports from UK and Irish broadcasters concerning some of these key events. Hundreds of political posters are also included. These have vital importance, not only in terms of their historical significance, but also their visual impact. Ten academics have also written essays exclusively for the ‘Divided Society’ resource. Each academic has used there personal research experience and their knowledge of Northern Ireland to give the digitised material more context. The site will have full text, downloadable content and dependable metadata. It supports research for Irish and UK Politics, Peace and Reconciliation Studies, Post-Conflict Studies, Terrorism, Journalism, and more. ‘Divided Society’ will be available for free in the UK & Ireland at www.dividedsociety.org beginning in January 2018 and will be available via subscription internationally.